In our initial posting, we introduced four clear China-India themes which provide insight into the nature of the challenges and opportunities for creating value in and through these markets. Each of these themes stands on its own to provide insight for companies looking to maximize value from China and India. The real value of these themes, however, is that collectively they demarcate a range of options for maximizing value within China and India as well as globally. THEME 2: Differentiated and complementary supply profiles create “islands of opportunity” for leveraging unique capabilities of the resources available in each country. China and India have highly differentiated and complementary supply profiles. These differences are the result of historical regulatory forces, which created “islands of opportunity” in otherwise restricted markets. In China, the government created special economic zones (SEZ), the primary purpose of which was to attract assembly operations. The SEZs, along with China’s auto industrial policy, drove dramatic increases in both assembly and component manufacturing resulting in large scale, efficient operations. In contrast, India’s manufacturing scale was intentionally limited to reflect the goals of internal self-sufficiency laid down by the Gandhi and Nehru governments. Another key government policy factor has been the different approaches to developing road, rail and electrical infrastructures. China has invested significantly more than India and now has an infrastructure, which strongly supports logistics and transportation of manufactured goods. As a result, China has world-class manufacturing and India lacks both the scale and infrastructure to strongly support efficient distribution of manufactured goods. In India, manufacturing was heavily regulated by the so-called “license raj”, which determined what companies could produce and in what quantities. In contrast, services were largely ignored by the regulators and left unregulated. This provided Indian entrepreneurs, as well as foreign MNCs, with an opportunity to capitalize on India’s strong educational system and English language ability to provide call centers, IT and engineering services as well as other back-office services for MNCs outside India. As a result, India has become the global epicenter for the outsourcing of these services. Ironically, government policies in India have positioned it to become a major vehicle exporter, while China’s policies have placed it in a weaker position to do so despite its many advantages in manufacturing. In China, obtaining a duty free export license is more complex, and China’s automotive policies often require a local partner to be involved. Some MNCs such as Honda have gone as far as creating a separate facility for export operations. This has limited the participation of MNCs in exporting complete vehicles from China. In contrast, the Indian government has clearly stated its desire for India to become the global hub for the development, manufacture and export of A & B segment vehicles. Hyundai is an example of an OEM that has strongly augmented its local Indian market sales of A & B segment products with vehicles assembled in India for export. Hyundai was the driving force behind India’s 441,000 vehicle exports in 2009 with 285,000 vehicles exported. China meanwhile had 370,000 exports in 2009. Government policies in both China and India can be expected to reduce the value chain differentials over time. China is investing large sums in engineering education as well as major engineering efforts (e.g. development of EV technologies and infrastructure). This is an area where Indian companies’ know-how and experience could benefit China’s development. At the same time, India is investing more into its physical infrastructure, which will increase its capacity to support large-scale manufacturing. Chinese companies with experience and know-how gained from China’s massive infrastructure development effort could greatly contribute to India’s efforts in this area. In our next posting, we will address THEME 3: Leading global players seek to leverage horizontal capabilities resident in China or India to achieve competitive advantage. If the government is selling GM stock, who's buying? The federal government is offloading a big chunk of its ownership in General Motors to help pay off the massive bailouts. Scott Tong has more. JEREMY HOBSON: The federal government is offloading a big chunk of its ownership in General Motors. 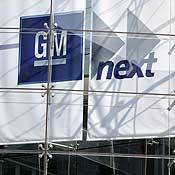 In the next day or so, GM is expected to file final papers for an Initial Public Offering. But if the government is selling shares, who's buying? From Washington, Marketplace's Scott Tong says a lot of buyers are overseas. SCOTT TONG: Investment bankers are said to be shopping the IPOto investors in places like Kuwait, Qatar, and Singapore. And there's talk of investment from China. State-owned Shanghai Automotive is a longtime GM partner there. Here's analyst Bill Russo at Synergistics. BILL RUSSO: They bring low-cost production capacity. And they bring a fairer understanding and knowledge of what it takes to compete in these emerging markets. If the Chinese buy a small piece of GM, expect political heat. But Russo's analysis: chill out, GM's already becoming Global Motors. RUSSO: GM is transitioning from a north American centered company to a more global company with a new center emerging in its largest overall market, which is China. Its China partnership has turned Buick into a top seller there. And the joint venture's next venture... is India. In Washington I'm Scott Tong for Marketplace. 2009 was a year of tremendous historical significance to the China auto industry. Triggered by the global financial crisis, the global automotive industry witnessed a year of unprecedented restructuring, as many industry icons struggled for their survival. After peaking in 2007 at 70 million units, the global automotive markets experienced a contraction of nearly 10% over the next 2 years. The mature “triad” markets of North America, Western Europe, and Japan have led this decline. China is the noteworthy exception. In 2009, China easily surpassed the US in total car sales to become the world’s largest automotive market. China’s vehicle sales of 13.64 million units were more than 2 million units ahead of the second largest market, the United States. The astonishing growth in car demand was a direct result of many factors that continue to fuel China’s economy. This includes aggressive tax cuts as well as significant investment made in the development of the infrastructure to support transportation. The China government views the automotive industry as a “pillar” of its economy since it brings technology, jobs and investment to the economy. As such, several agencies of the China government play an active role in sponsoring initiatives to further stimulate automotive development and growth. While aggressive tax cuts and subsidies have been behind much of the demand growth in 2009, the question remained regarding how stable and sustainable this growth would be in 2010. While very few expected a repeat of the 41% growth experienced last year, the question regarding sustainability of demand growth was often raised at the beginning of 2010. However, demand has continued to be quite strong through the first nine months of 2010. In fact, auto sales in China have risen nearly 36% from a year earlier to 13.14 million units according to the China Association of Automobile Manufacturers (CAAM). Sales for the full year are easily expected to surpass 17 million units. However, automotive companies in China are today finding themselves confronted with a different set of challenges from what they were just a few years ago. From the demand side, Chinese consumers are becoming more selective and are making more diverse and personal choices: making their own individual choices, not just for their family. Meanwhile, demand growth is increasingly driven by lower-tier (Tier 3 and below) cities more than large and mega cities. The Chinese government has also released more restrictive regulatory requirements for safety, environmental care and foreign investment. From the supply side, almost every international player has recognized China as their largest source of future profit and has thereby committed significant investment. Additionally, Chinese local brands have never been so aggressive in fighting for market share than today. All these challenges are pushing global as well as local vehicle manufacturers to alter their thinking and adopt new strategies to play the game. As previously noted, year-to-date Chinese auto sales are 36% higher than the same period of 2009, with an annualized yearly sales forecast to be over 17 million vehicles. While this is quite a strong performance, it was apparent that starting in April annualized growth began to decelerate, which indicated a transition from the explosive growth of 2009 to a more stable and sustainable pattern in 2010. Such a change is mainly attributable to adjustments made in the Chinese economy to tighten credit and government investment to tackle inflation. In addition, tax subsidies and sales incentives offered by government during 2009 financial crisis were reduced with a resulting impact on more price sensitive car buyers. Despite that, China is still the world largest and fastest growing market. The double-digit growth momentum will be maintained for at least the next three years. A key reason for continued growth is the rapid development of China’s lower-tier cities. While China’s explosive automotive growth has been most evident in the Tier 1 cities, it is important to note that the trends of urbanization and growth of per-capita GDP will continue into the foreseeable future. As these factors are directly linked to the growth in demand for automobiles, one can expect a continuation of growth next year and thereafter. Urban wealth accumulation is undoubtedly fueling the growth in automotive sales. The fact that 85% of all vehicles are sold to urban residents is a clear sign of the relationship. As income levels continue to rise, demand may begin to shift towards vehicles and segments offering more appealing content and features, which may create opportunities for manufacturers to improve their product mix. Early-movers in the China market such as Volkswagen and General Motors have enjoyed significant profit margins by occupying mid-size sedan, full-size sedan and MPV segments without a great deal of competition. In such a market environment, strong profits could be made on products such as the VW Santana and the Buick GL8 minivan – older technologies that dominated their segments with good margins. However, today’s China market no longer offers such an easy road to profitability. Virtually every major vehicle manufacturer is now present in the China market. A recent J.D. Power & Associates study has reported that many of the cars sold in 2009 were in low-end segments that are eligible for tax incentives and that many of these cars earn the manufacturers as little as $100 each. Coming into 2010, Chinese consumers are increasingly seeking more innovative design for their first cars. Emerging buyers, particularly females and those under 30 are aspiring to a more recreational lifestyle and seeking more individualistic choices. For these consumers, coupe and crossover concept vehicles of stylish design are a better fit to their values. To meet the emerging Chinese preference for fashion and sportiness, both multi-national corporations (MNCs) and Chinese vehicle makers are shifting focus of their new launches to more dynamic and stylish products. As shown in the Beijing International Motor Show in April 2010, many examples of such coupe, CUV and crossover vehicles were shown. These included vehicles such as Audi’s A3 and A5 Sportback, Honda’s Crosstour, Hyundai’s new SUV ix35, Infiniti IX35, BYD's S6, Mitsubishi's RVR, and Chang’An H30 Cross. These new styles have generated a good traffic to the booth and the dealer showroom. The sales figures of such crossover concept vehicles have this year risen to 1.84million so far, an increase of over 29%. The future outlook is that local brands and international brands will install more capacity in China, placing even more pressure on pricing in the battle to gain market share. Weak brands and older models will become the first casualties as market and competitive forces squeeze them out. The competitive battle can only be won with strong brands and contemporary models that can be delivered profitably to savvy Chinese consumers with choices that demand a competitive price. China’s vehicle market has nearly tripled in size from 4.56 million units (in 2003) to 13.64 million units (in 2009). Global Insight has forecasted that the Asian markets represent the largest growth potential in the global auto industry - with a combined 4.7% compound annual growth rate over the next 10 years (compared with 2.9% in NAFTA). Within Asia, 54% of that growth is expected to come from China. With the promise of tremendous growth, many international firms as well as Chinese firms are encouraged to allocate resources to seize the opportunities presented by the Chinese market. While many Vehicle Manufacturers have enjoyed strong sales growth, what may not be understood or appreciated among those who are observing the growth in sales is that this is a market where quantity of sales should not be confused with quality of sales. The China market is now experiencing what many companies doing business in globally have come to understand for many years: hyper-competition. In 2010 we have seen even more intense competition among the foreign and domestic brand vehicle manufacturers as they attempt to capture growth opportunities in China. As this is happening, the local manufacturers will strive to upgrade their brands and product portfolios to meet the more upscale image aspirations of Chinese consumers. For the early stages of the development of the China market, the multi-national brands and Chinese brands were for the most part not competing directly with each other. Foreign brands enjoyed a tremendously high share of the passenger vehicle market, with overall share of more than 70% as recently as last year. Until recently, China's automotive market was largely driven by the more affluent Chinese consumers who tended to shop for foreign branded products. However, first-time consumers entering the market have largely driven the recent sales jump. The Chinese local brand manufacturers have typically focused on these first-time buyers. This is changing quickly. Attracted by the tremendous growth of these segments, many multi-national brands are expanding their product portfolio into smaller segments. Examples include the Ford Focus Hatchback, Chevrolet Cruze, PSA 207 Hatchback, Hyundai i30, VW Polo Sport, Toyota Yaris, smart Fortwo, and Kia Soul. Attracted by the desire to raise their brand image, and achieve higher margins, the Chinese carmakers are also expanding their product portfolio – into larger segments. Examples include Chery’s Rely V5, Riich G6, Dongfeng’s S30, BYD’s S8 and M6, Geely’s Dihao and Yinglun and the Brilliance Zunchi. Since China has become the most attractive area to invest for growth, it seems that Chinese consumers will be enjoying even more choices and even more attractive pricing as a result of hyper-competition. Structurally, vehicle manufacturers must adapt to compete profitably in this hyper-competitive market. An interesting fact is that a great majority of international firms have effectively defended their market positions against local brands. Compared with five years ago, international brands have lost about 5% share of the rapidly expanding passenger car market. Through July, they are still comfortably leading the Chinese market with a total share of 70%. Year-to-date sales growth for most multi-national corporations (MNCs) is up 20% from last year. While some of this success is a result of an expanded product portfolio, it appears that MNCs have maintained their sales success without a dramatic increase in new product launches. One of the most innovative approaches we have discovered is what we would call “adaptive brand innovation”. This approach involves delivering market-specific adaptations and modifications, extending the range of segment participation to new price-points and product categories, and creation of new brands and products. Many of these approaches are often taken together with local Chinese partners. As early as 2005, MNCs began with different levels of modification ranging from exterior facelifts, powertrain upgrades, restyling of vehicles, and wheelbase extensions. These efforts were taken to meet the unique and diversified taste of Chinese consumers, instead of simply localizing the global vehicle “as-is”. Typical examples are the extended wheelbase Audi A4 and A6, BMW 5 and MB E-class in the luxury segment, as well as the upcoming long wheelbase VW Magotan for chauffer driven buyers. Adaptation of smaller engines to new vehicles is also a way to increase interest in the product, such as new generation VW 1.4TSI Polo GTI and Golf 6 that dropped the 1.6L and 1.8T engines used by last generation platform. Small and compact car segments with engine displacement of 1.6 liters and below are traditionally dominated by low-priced Chinese local brands. However, represented by Hyundai, Toyota and GM, MNCs are increasingly down-pricing their volume models to close the price gap with Chinese brands. Such competitively priced products appeal to Chinese consumers because of their brand equity. These pricing strategies have resulted in a number of best sellers in small and compact segments, such as Hyundai Elantra, Buick Excelle, Chevrolet Spark, and others. Many MNCs are also creating new brands and products together with their Chinese partners. While initially in response to government regulations on new joint ventures, MNCs are increasingly pursuing this as a means for capturing the volume opportunities in the lower priced segments. This approach can include co-developing a new product under an international brand, or creating a new mid-market brand within the context of a JV, or supporting the Chinese partner’s local brand development. Several international OEMs are already moving forward in those directions, such as Lavida developed by SAIC and VW, a new JV brand created by Honda and GAIC, a new generation small car platform developed by SAIC and GM. Driven by the same incentive as above, MNCs are also offering their technical assistance to supply high performance powertrains to support the extension of the local partner’s products into higher priced segments. For instance, the recent co-development agreement between SAIC and GM for a next-generation fuel efficient global engine platform, Beiqi Foton and Daimler truck’s JV agreement which provides Daimler’s diesel engine’s local production and supply to the local partner’s heavy duty trucks. Along the value chain of global automotive industry, profit is gradually shifting from the vehicle manufacturing to aftermarket service. It is generally understood that aftermarket service and parts contributes more than half of the profits to the global automotive industry. In the United States, more than 70% of auto firms’ earnings have come from their service and parts business, in contrast to only 40% in China. Entering 2010, Chinese vehicle makers and their international partners obviously recognized huge opportunities from the aftermarket opportunity and accelerated their pace of resource commitment. For network development, vehicle makers are shifting the focus from building brand new 4S dealerships to encouraging current dealers to set up 1S or 2S sub-dealers, particularly in suburban areas, as well as accessible places for rural consumers. For example, among 125 dealers of Mercedes Benz nationwide, there are 42 satellite dealers including 37 sales only dealers and 5 service workshops. Establishment of sub-dealerships not only provides greater access to potential buyers, but also helps to support service delivery to remote car owners. For service delivery, vehicle makers are dedicated to implementing Customer Relationship Management (CRM) systems and brand experience management stantards to each dealer showroom. Customer retention and lifetime value creation become a focus through the dealer management and performance assessment system. For service innovation, the vehicle makers are also look beyond traditional service and parts, and extend to derivative business, such as leasing & financing, used car sales, rebuilding & decoration, telematics, and other business. Such an expanded product and service portfolio creates incremental value to car owners, and also maximizes the profitability of OEMs. Shanghai GM and Toyota China are among those first movers to launch their used car business and introduced their own telematics brands (On-star and G-book) to China. The global financial crisis temporarily disrupted growth in the business for exporting vehicles made in China. However, domestic vehicle manufacturers are once again focusing here and the business has picked up rapidly since early 2010, experiencing a 62.5% growth in the first nine months of 2010. Total export is as high as 405,200 units with even split of passenger and commercial vehicles. Such a strong rebound is largely fueled by a recovery of market demand in places such as Algeria, Vietnam, Syria, Russia, Egypt, Bangladesh, Iran, Chile, and Brazil. Moreover, improved product quality and a focused business strategy of Chinese local brands has contributed to Chinese export growth. One example is Great Wall Motor Company’s success in securing approval for sales in the European Union, which has enabled them to assemble and ship their 4 small cars to all European countries. It also has greatly enhanced the quality image and market acceptance of Chinese vehicles in other markets. In view of growing entry barrier of most export markets, Chinese local brands are shifting their market entry strategy from complete vehicle shipment to building a KD plant to assemble locally. Great Wall and Chery have aggressively invested in local facilities in the Middle East, South America and Africa - either solely or with local partners. Meanwhile, other Chinese firms have chosen to work with their international partners to jointly develop locally-adapted product platforms for those fast-growing markets. Recent cooperation between SAIC-Wuling and GM to set up a 50:50 JV to expand into India is a starting point of shifting Chinese small car and engine technology to other markets. With such aggressive and innovative efforts, we expect to see China emerge as a platform for globalization in the coming years. These trends observable in the China auto industry in 2010 are reshaping the brands, products and global footprint of those who hope to prosper in the global automotive industry. This is pushing multi-national as well as local Chinese vehicle manufacturers to alter their thinking and adopt new strategies to play the game. We can now clearly see that China is playing a leading role in the development of the 21st century global auto industry.